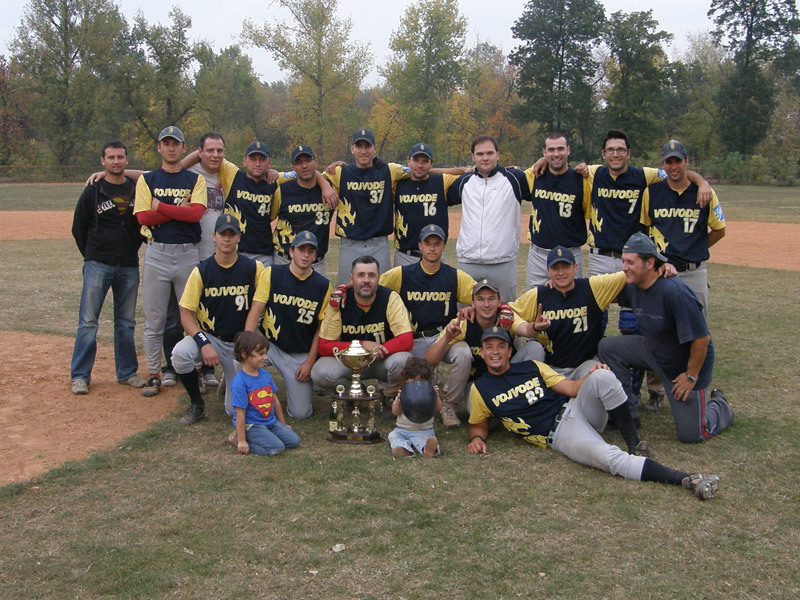 With the 19-7 victory over the Belgrade Spartans, Vojvode from Zemun completed the sweep and regained Championship Title, their first since 2003. On a sunny Saturday 09.10. the game started at 1 pm and lasted almost four hours as Spartans didn’t wanted to give the title away without some battle. Vojvode struck first as they loaded the bases in first but managed to score only once on a sacrifice fly by Ilia Novac, Spartans starter managed to strike out Momcilo Kojic and Slobodan Bogdanovic to escape the jam. Vojvode starter Ilia Novac started off very well with a 1-2-3 first inning, but got into some trouble in second as Spartans scored twice on an error by catcher Aleksej Leonov whose throw to third went into left field allowing Spartans 3rd baseman Milos Zivanovic to score with Ranko Ivanic later scoring on a passed ball. Vojvode took the lead again in the third on a Homerun by Novac that sailed well over the left field fence. In the sixth inning with bases loaded Danijel Kozjak hit a bases clearing double to give Vojvode 9-4 lead and bring them closer to the victory. Spartans had a shot in the 7th when they had 2nd and 3rd with nobody out, but they only scored once against the reliever Kozjak. Later in the game Vojvode scored more runs on some questionable calls from both Home Plate and second base umpire, and with lead 19-7 going into the bottom of the ninth, they could start celebrating, Ranko Ivanic struck out for the last out, and Vojvode started to celebrate, Champagnes were opened, fans ran into the field, and they were presented with the Championship Cup by their former player and team legend Dragan Gasic and afterward together with their fans they sang songs and celebrated long into the night. Next weekend 17.10. – 18.10. on Ada Field Cup Final Four will be played with semis on Saturday where Spartans will meet Gradnulica Zrenjanin, and Vojvode replay their semis duel with Belgrade’96. Championship game will be played on Sunday. 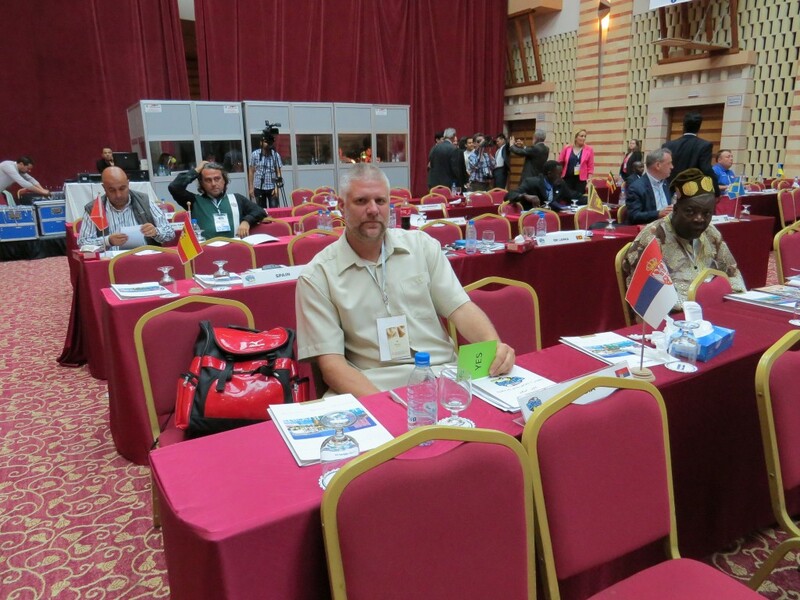 Svetski kongres u Tunisu – bejzbol na olimpijadi u Tokiju?